A big 305% match bonus up to $610 from Lake Palace casino (Gran Prive casino group). Get 300% match bonus when making a deposit of $25 with bonus code DONTBESHY300. Then claim $40 free chip bonus using coupon code 40GO4GOLD. Casino T&C apply. 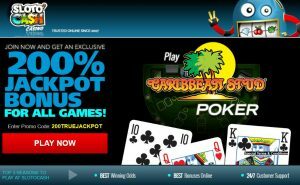 True Blue casino 300% no max cashout match bonus and 30 added free spins offer available to all casino players. Low 10x playthrough for best odds to win! Casino T&C apply. Unlimited BBS during the party – 50 BBS per correct chat game claim. Terms and conditions apply. Please check directly with the bingo site. Grab a reload bonus today and head for the ka-ching! Casino T&C apply. 250% bonus on all deposits of €500 or more. 25 free spins for Wolf Treasure game – no deposit required. New players. Casino T&C apply. Get 50 free spins for Sweet16 at Roaring21 casino if you have redeemed at least once any of the codes: ROAR1, ROAR2, ROAR3 or ROAR4. New game Mariachi 5 is out now! Have you tried it? Grab 200% match bonus to spin the reels for some SPICY WINS. Valid at 5 casinos below. Casino T&C aply. Purchase your MST GIFT Card at www.ticogift.com using any card for a minimum of $20 (with no extra fees). Deposit at the Casino cashier using your MST GIFT CARD Code and Start Playing! You may use any of the regular promotions and after playing, claim your VIP Cash Back, by contacting casino support. T & C: 1. 100% Cash Back valid on your next deposit with MST GIFT CARD. Can be claimed only once. Not valid for Progressive, some RSVS, Live Dealers. Maximum Cash Back: $500. Maximum Cash-out amount is $2,500. Bonus can be claimed weekly. 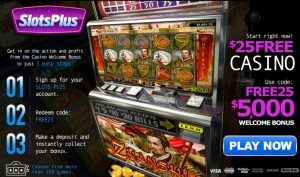 Plus, get 20 bucks on the house after making at least one deposit (with or without bonus) – get your free chip bonus code. Casino T&C apply. 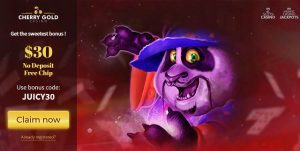 Go Wild casino free spins promotion runs every Tuesday from 00:00 until 23:59 GMT, and can be claimed a maximum of 10 times. You’ll get 10 free spins every time you deposit $/€20 or 200 SEK/NOK. Keep going till you reach 100 free spins! 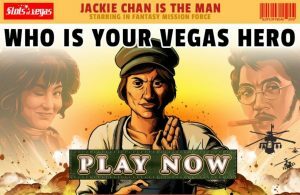 The free spins will be credited on one of the newest games. 100% match bonus up to $1,000 and 150 free spins for Samba Sunset game. 300% No Rules bonus from Top-rated RTG casinos. Free spins must be used before moving onto any other game. Redeem unlimited times. No rules bonus means no playthrough requirements and no limits on maximum cashout. For the best odds to win! No playthrough and no max cashout! Get a 250% Bonus No Playthrough / No max Cash-Out to play Slots and keno at Prism casino. 44 free spins on Gods of Nature Slot from Slotastic casino with a $25 deposit. Casino T&C apply. Get 50 free spins – no deposit required from Casino Brango and Casino Extreme. Will redeem once. $100 max cashout. T&C apply. Good luck! An exclusive bonus – 200% match and 25 free spins. Bonus is non-cashable. Redeem unlimited times. Casino T&C apply. 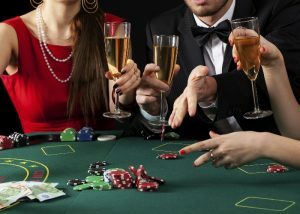 Casinos offer instant withdrawals – in less that 15 minutes! Bonus amount is Non Cashable and will be removed from the amount of your withdrawal request. Slots bonus can be redeemed 3 times each Monday, video poker bonus 2x. Wagering 27x on slots and 23x on video poker. 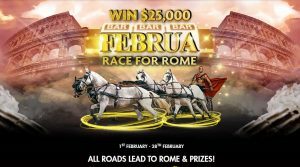 Casino T&C apply. Koala Monday at Fair Go casino gives you the chance to get a bit of bang for your buck every time you deposit. The best thing is, the more you deposit the more you get back! Bonus may be claimed unlimited times on Mondays – no wagering requirements and no max cashout. 100% match bonus up to $1,000 and 150 free spins for The Mariachi 5 game. 100% match bonus up to $1,000 and 150 free spins for Popiñata game.